Are you looking to create your dream bedroom? Renovating a bedroom can be a major investment, and there is a lot to consider, including, choosing the right type of fitted wardrobes – sliding, folding or curved? 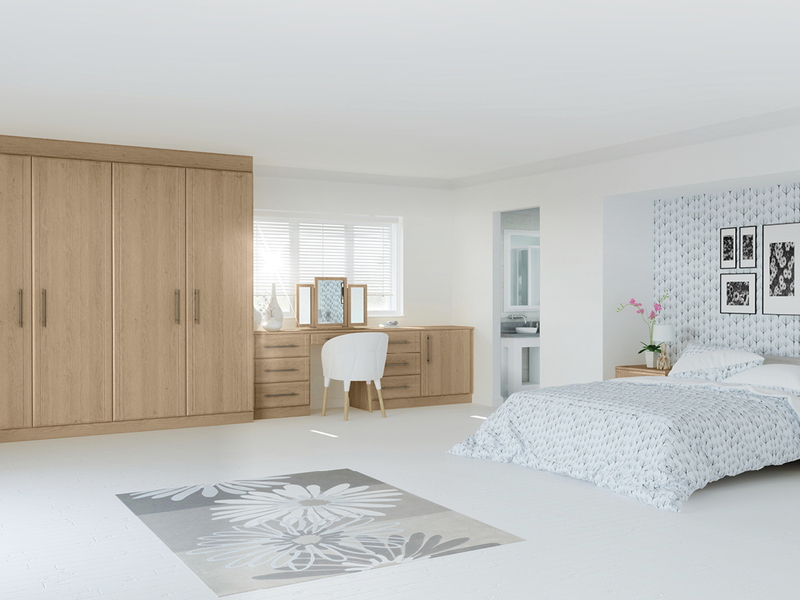 At Harval Fitted Furniture, we work closely with customers across Leeds, Wakefield and Yorkshire to create bespoke bedrooms, helping them to maximise space and the flow throughout the room. So, if you’re considering a bedroom makeover, then here are a few considerations that we hope will provide you with ideas and inspiration. A beautiful bedroom that’s a pleasure to occupy begins with the right floorplan. If you have an ensuite, foot traffic will usually lead from the bed to the bathroom in addition to the bedroom door, so, a good starting point is the placement of the bed in relation to the doorway and your ensuite. Fitted furniture is easier to plan for than freestanding furniture, so planning for traffic flow and freestanding furniture, including the bed, should be the first step. As we design, manufacture and install all our bespoke furniture, it should come as no surprise that we are huge fans of custom-designed fitted furniture in bedrooms! 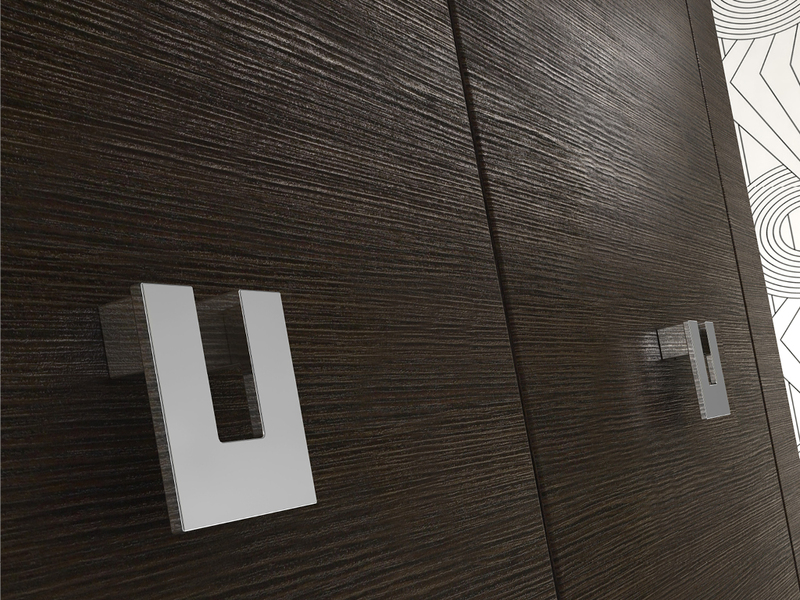 Fitted furniture is designed for your needs. We can design, manufacture and install beautiful bedroom furniture, like curved wardrobes, which meet your individual requirements. Custom designs are nearly endless. Whether you need more shoe, hanging or shelf space, we can design the perfect wardrobe or fitted chest of drawers. Fitted furniture is also designed for the aesthetics of your bedroom space. That means your bedroom furniture will always look the part and never out of place. Another notable benefit to fitted custom-designed furniture is the value and appeal it creates in a home. Should you decide to rent your property or put it on the market, bespoke furniture can make it more appealing to potential homebuyers. When you have a bespoke bedroom created by our professional team of designers and craftsmen, you have full control over the materials used. We offer a complete range of materials, finishes and effects to ensure you have a myriad of appealing options to select from, for example, our sliding wardrobes are available with your choice of split panel, single panel or oriental bars. The selection we offer enables you to explore the possibilities that only bespoke bedroom furniture can deliver. You can even take a look at our range of customer fitted furniture by visiting one of our showroom in Rawdon, Leeds, or our factory showroom in Wakefield. Feel free to drop by or make an appointment by calling Leeds: 0113 202 9696 or Wakefield: 01924 270 121. You can also get in touch with us via our contact page on via Facebook, Twitter or Google+ page – and don’t forget to book your free home design visit.